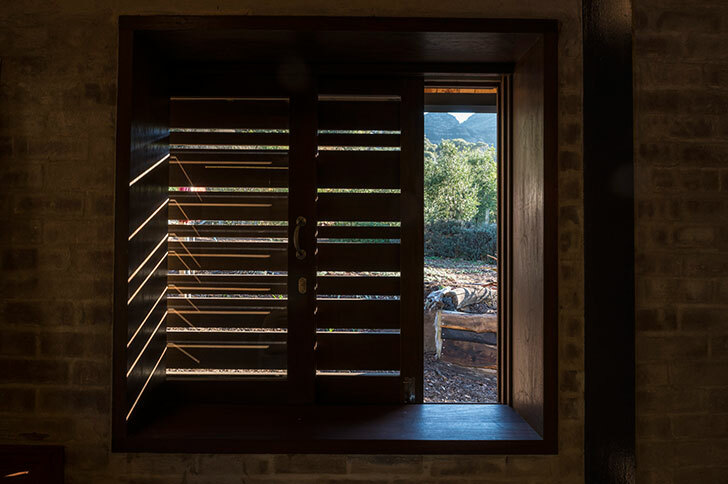 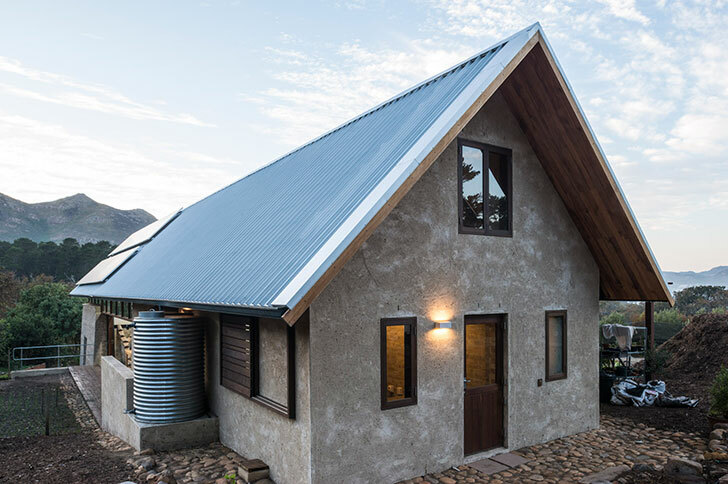 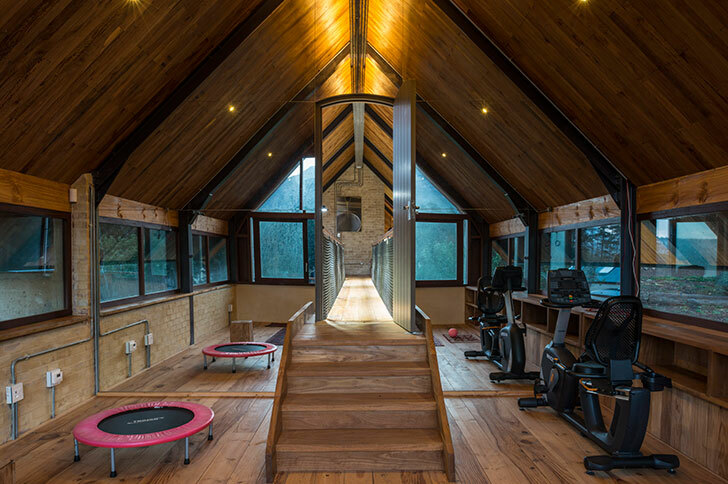 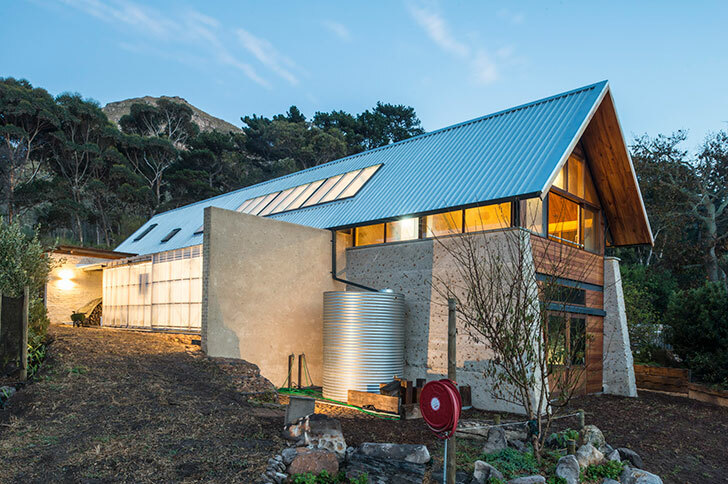 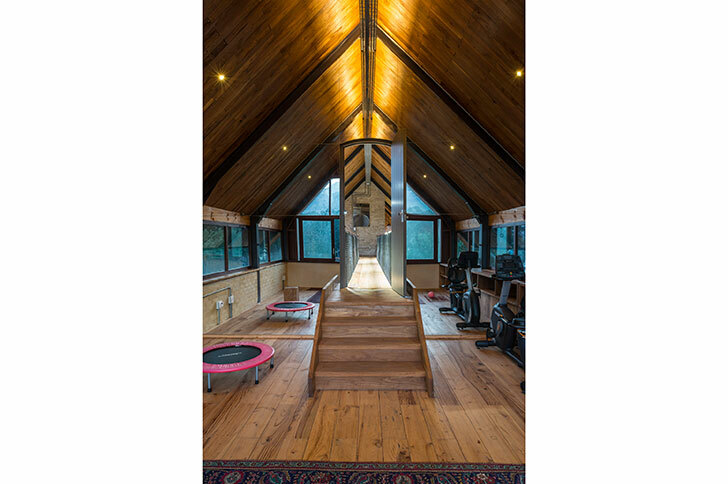 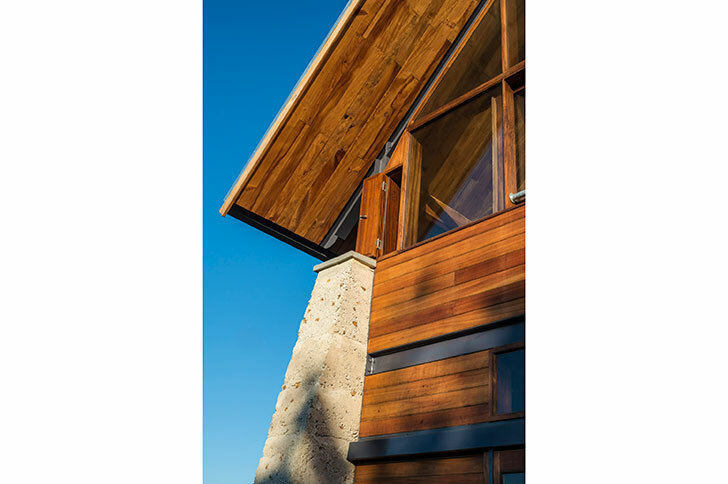 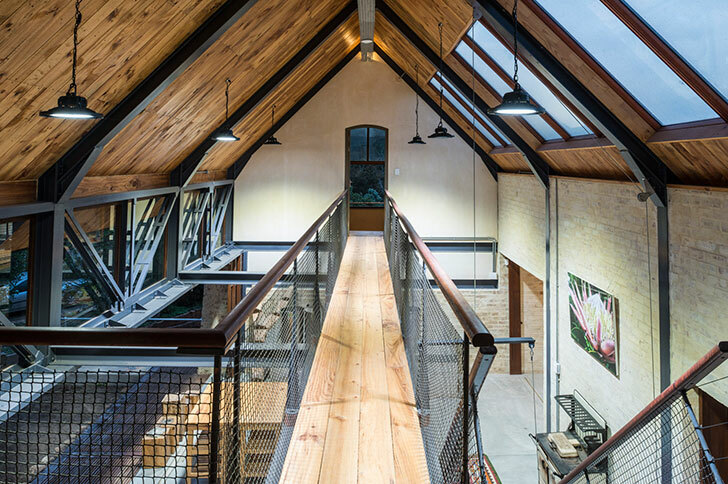 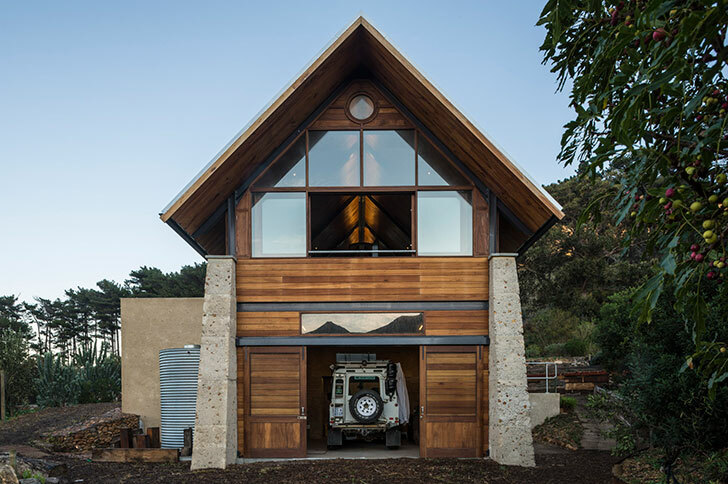 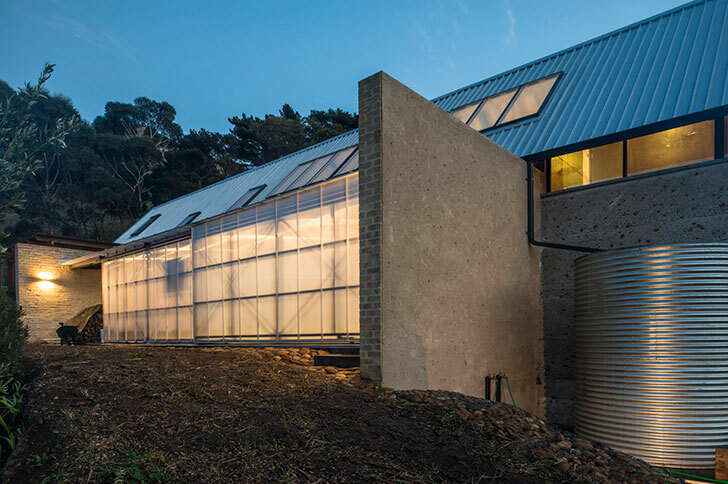 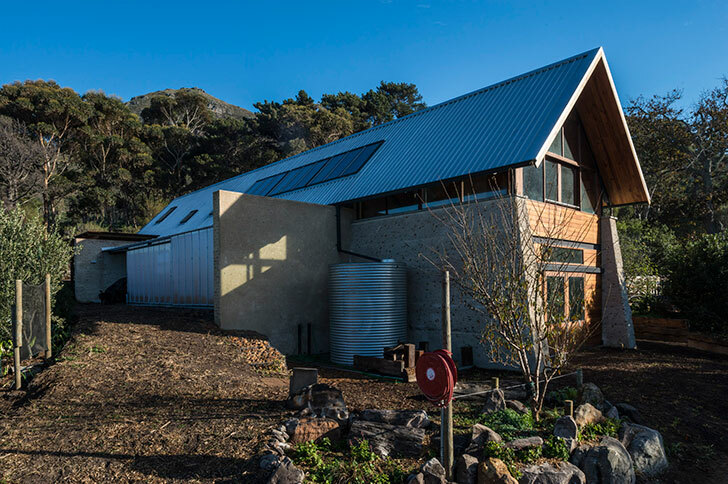 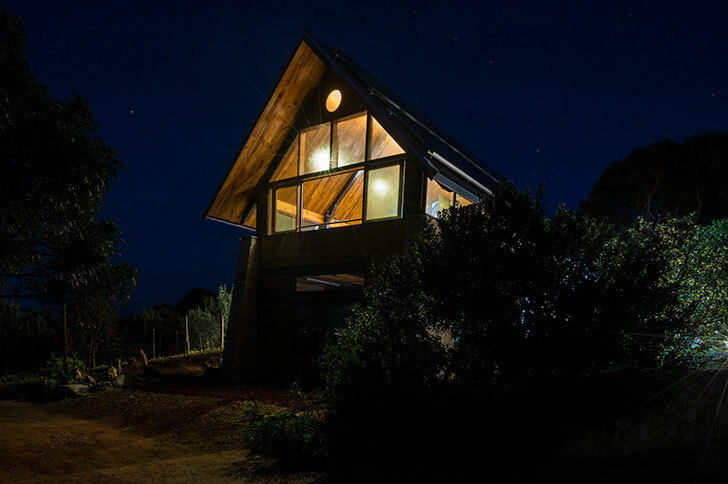 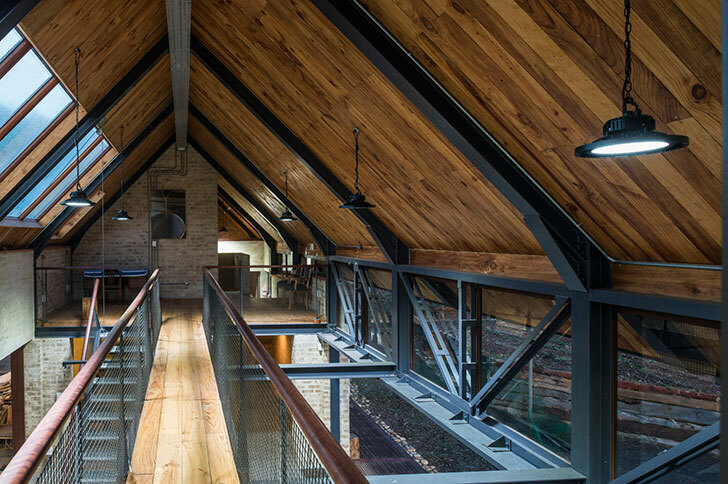 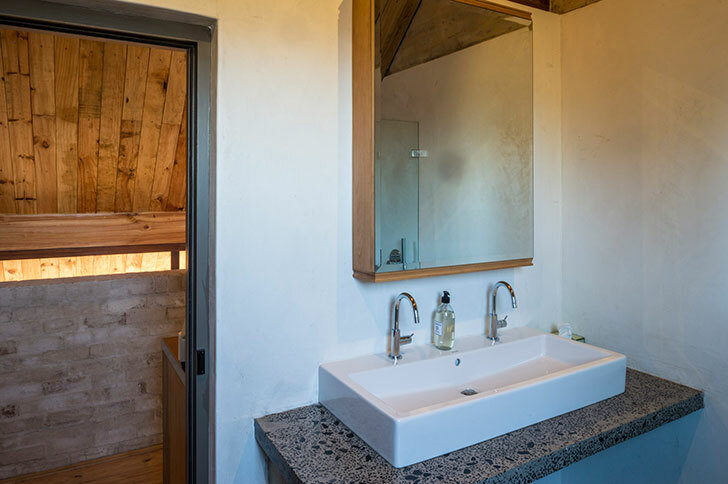 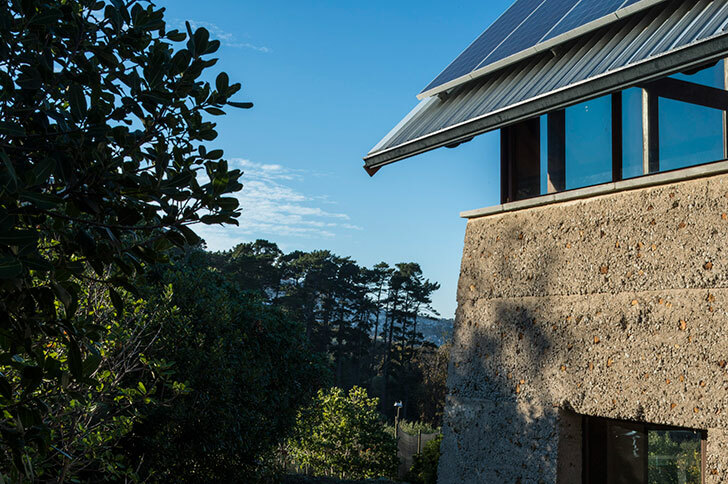 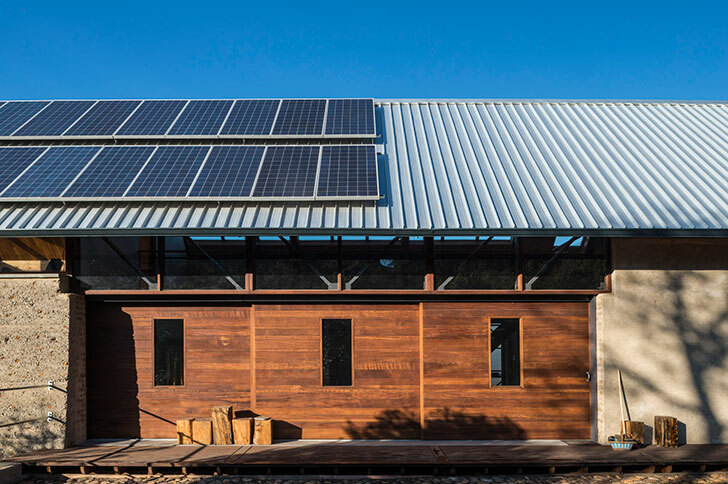 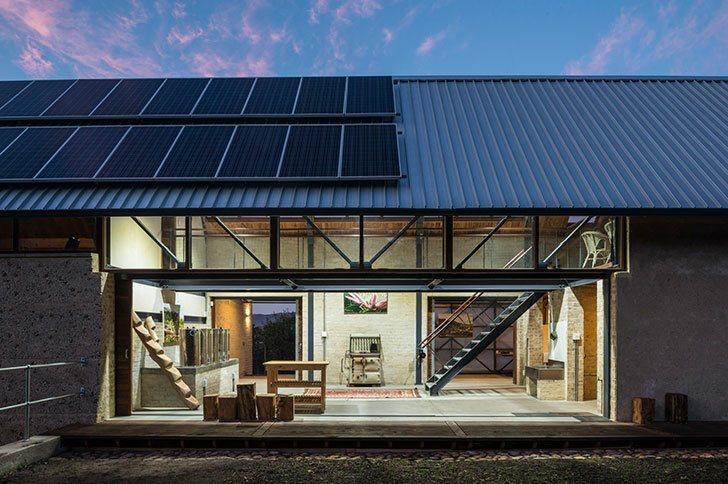 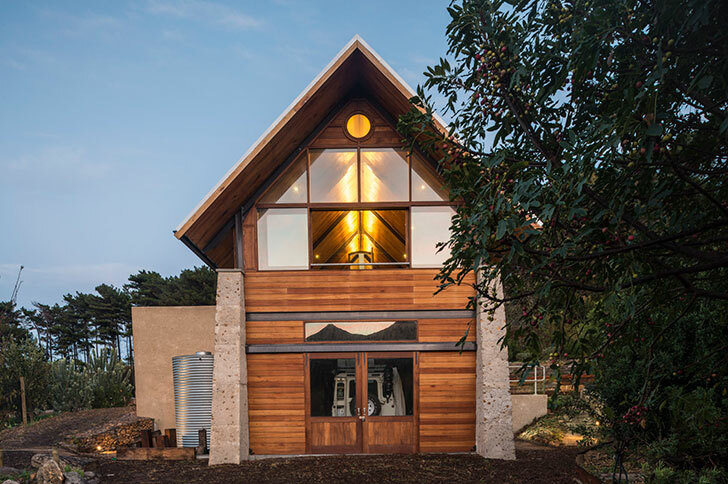 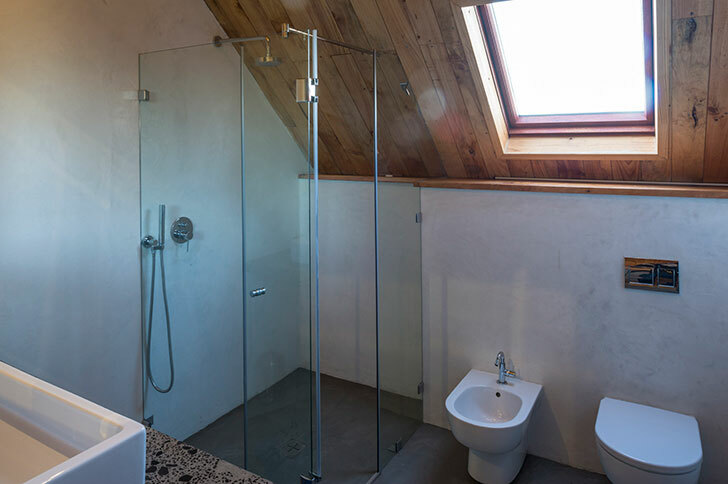 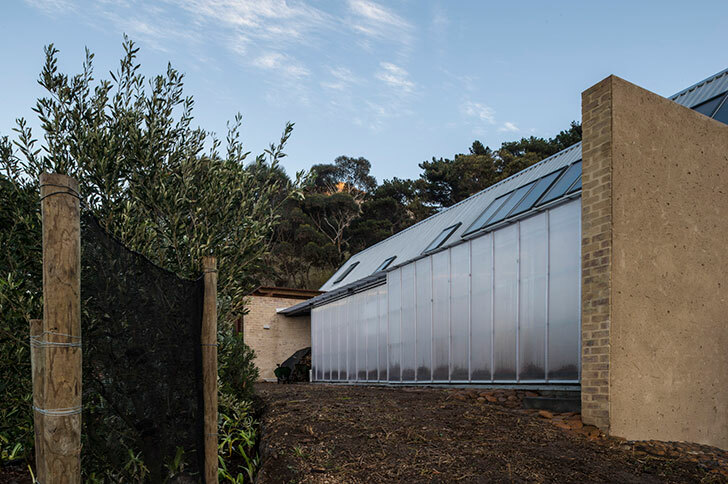 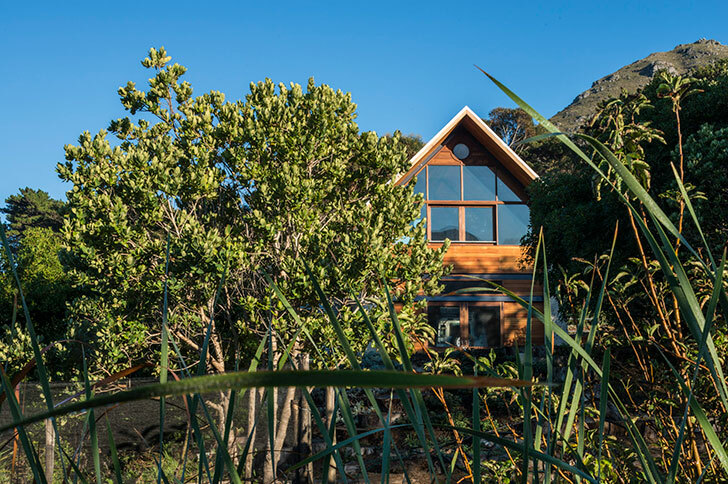 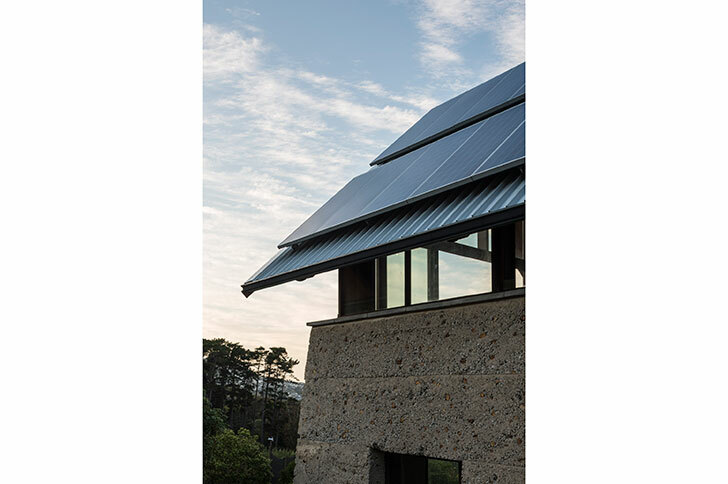 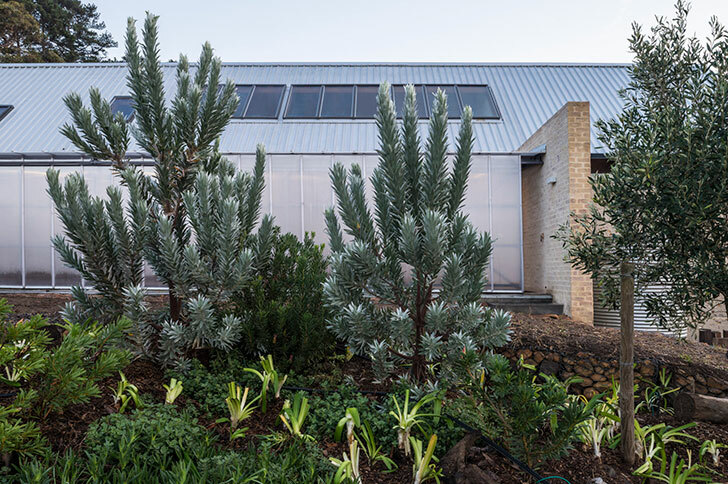 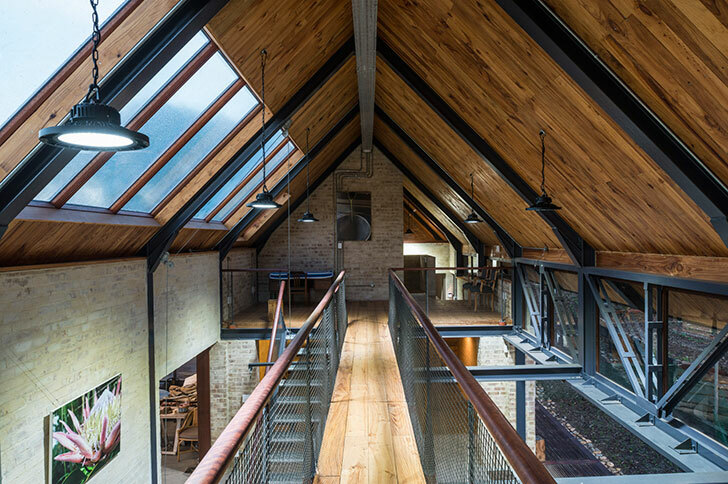 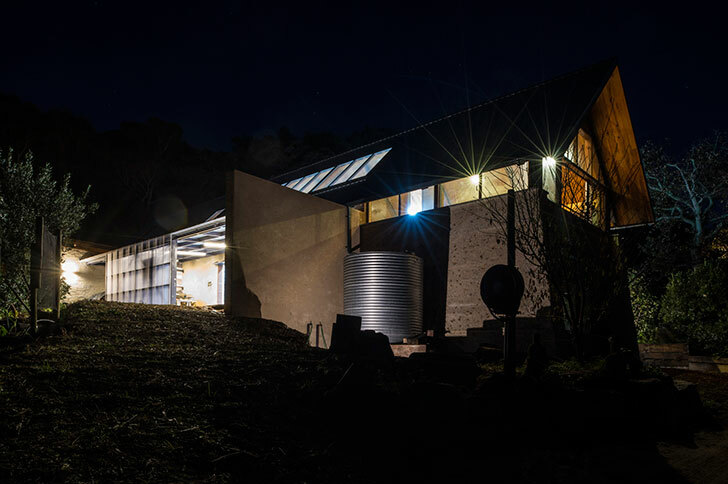 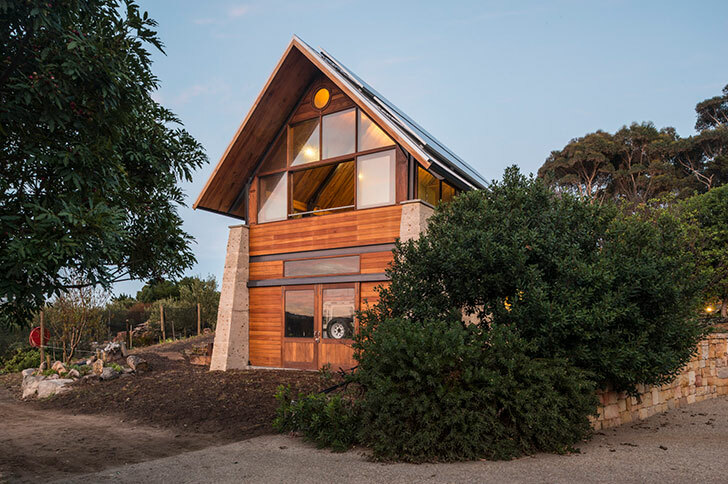 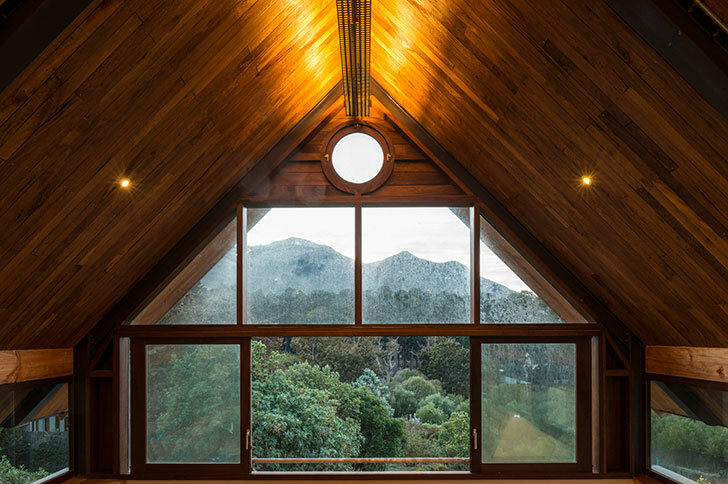 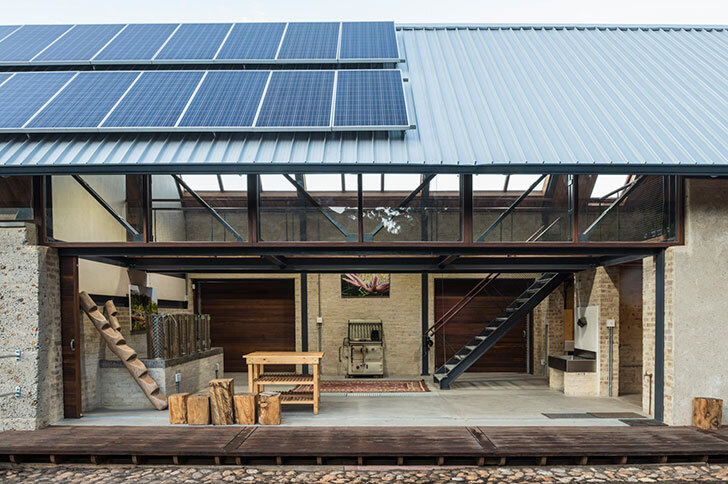 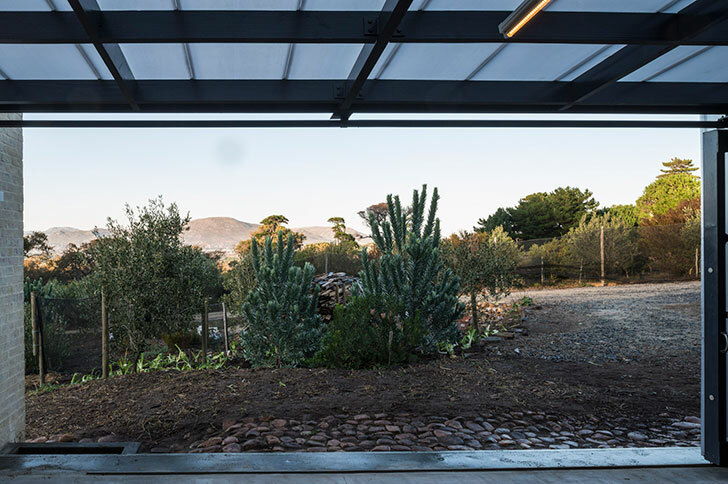 Set on the slopes of Chapmans Peak, the power barn is a truly north facing multi-purpose facility for a marvellous eco-warrior client/retired GP. 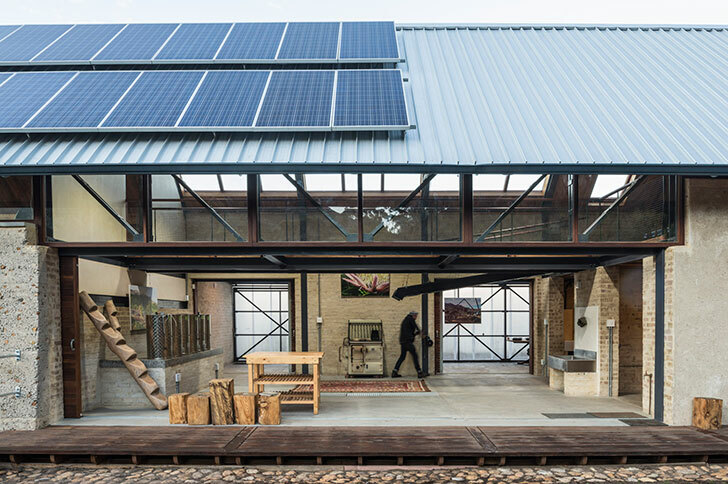 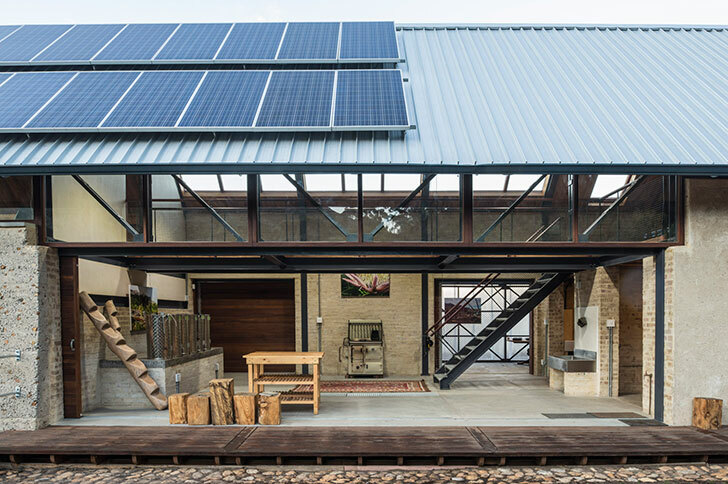 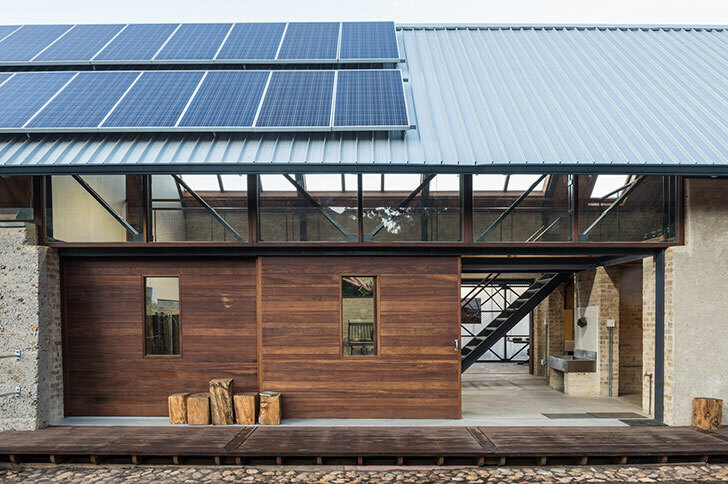 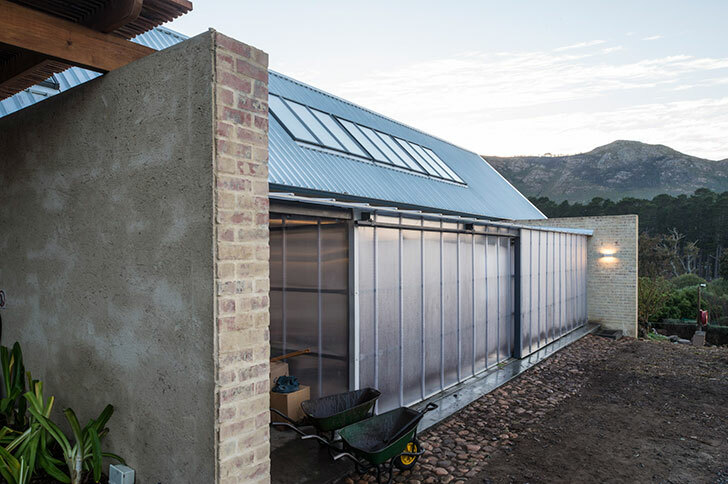 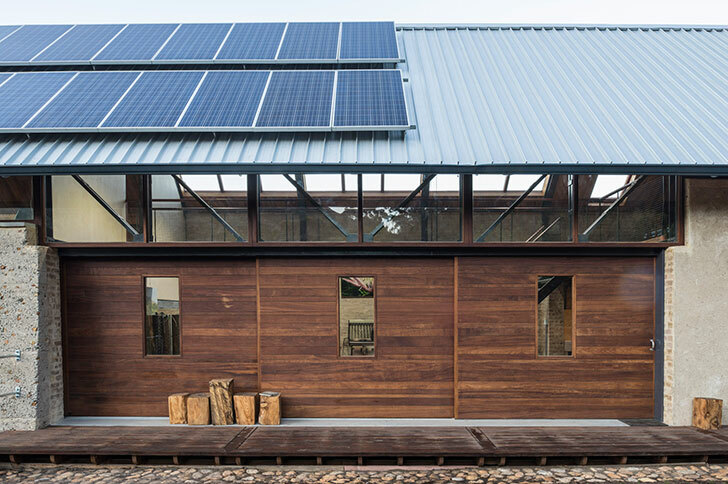 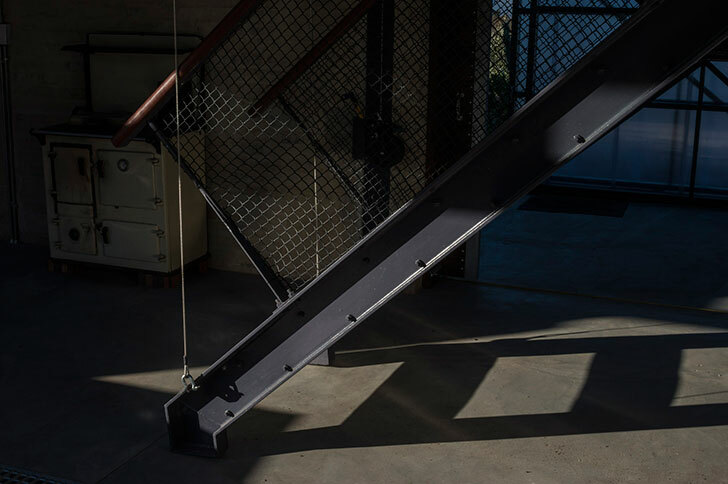 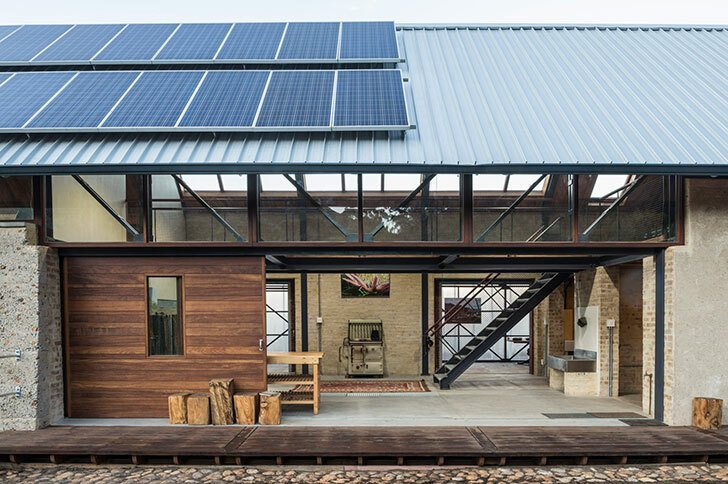 The northern roof has sufficient PV panels to power the small-holding, and enough space to work as a fynbos propogation nursery, a party venue, a farm office, a cheesery, a honey processing plant, olive pressing facility and of course, it has a land rover garage. 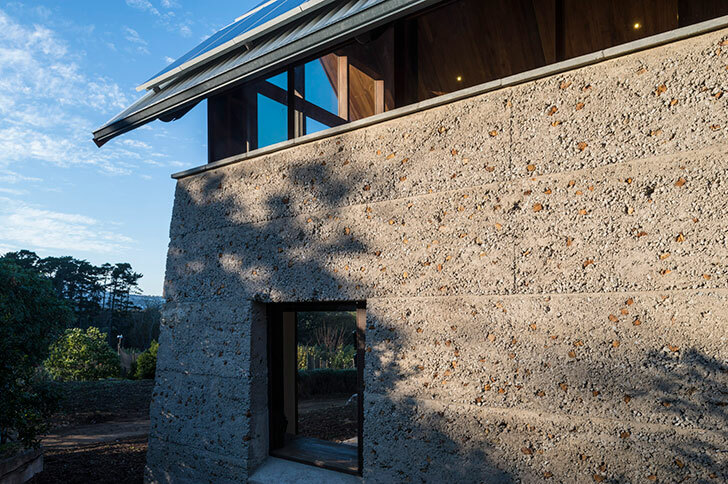 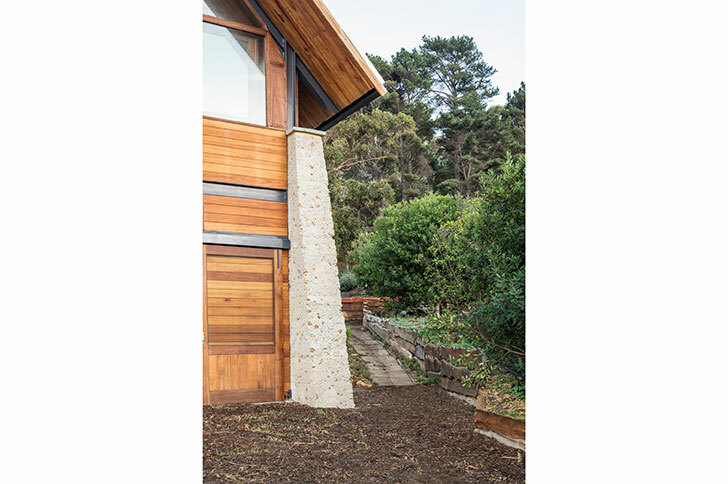 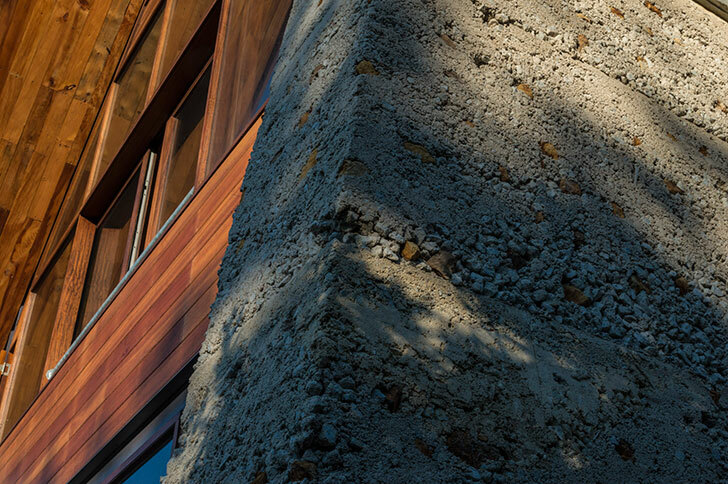 The rough walls are a dry mix concrete with soil from the site, all the timber was from felled aliens on site, cured and milled to finish. 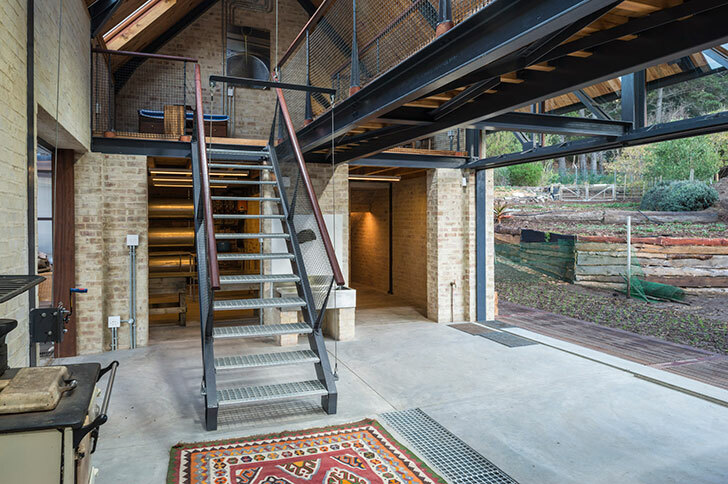 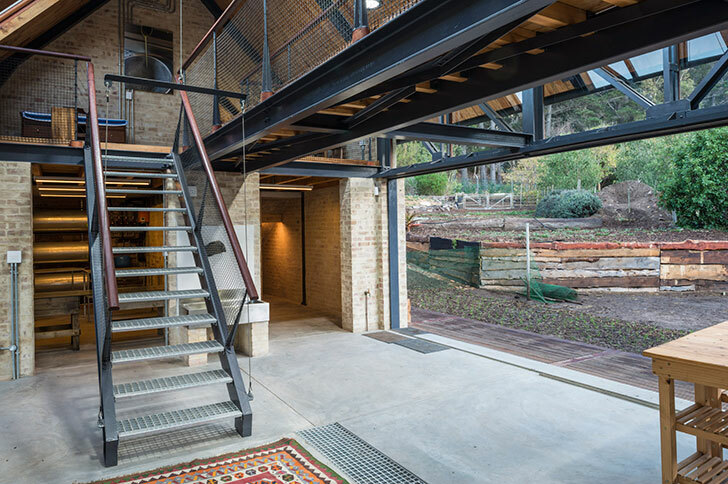 Huge doors to the North slide away completely, making the whole building a verandah of sorts.